Have you ever driven into a new city and accidentally stopped at the crappiest restaurant in town? I know I have, and I felt ripped off. Skip the b-list and visit one of these top 8 restaurants near Hurlburt Field (Fort Walton Beach/Destin area). Big City always impresses, whether it be for lunch, dinner, or their Sunday brunch. You came to the Gulf for some seafood, well this is the place. Locals know that Old Bay Steamer has the best seafood in the Fort Walton Beach/Destin area, and the price is what you would expect to pay for top quality. 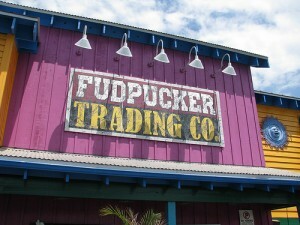 Fudpuckers is a great place to bring out-of-town family for lunch. The fried dill pickles are an awesome appetizer. Kids will like writing on the walls and feeding the crocodiles. I know, it’s a chain restaurant… but the food is damn good. The atmosphere on the weekend rocks as well. Best breakfast on the Gulf coast. The restaurant is fairly small, so get there early if you want to get seated quickly. They recently started franchising, so I hope to see it in more parts of the US soon! Great sushi and thai food. Try the soup and breadsticks. If you want to eat like a local, then you’ll eat at Olive Garden. And you will like it. Do you agree with this list? Let us know in the comments.